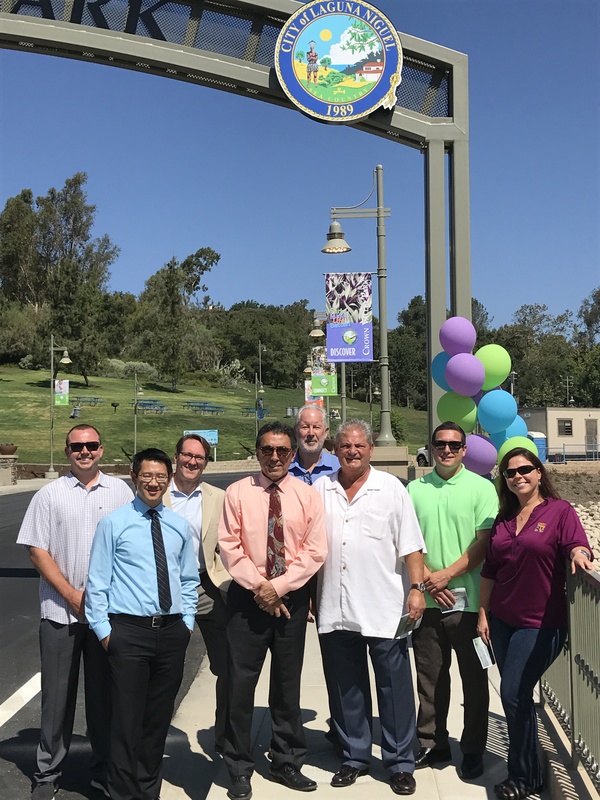 The “Tier 2” park improvements project at Crown Valley Community Park in Laguna Niguel is essentially complete! GMU attended the Ribbon Cutting Ceremony as part of the project team, which included Hunsaker & Associates and Cho Design Associates. 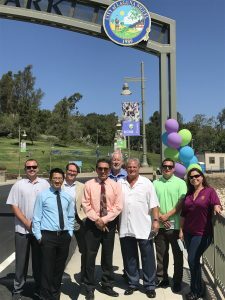 If you are in the south OC area, drive by and check out the new bridge, parking lots, and the new entrance sign (shown here behind the project team). GMU is looking forward to continuing to provide our services to the City of Laguna Niguel for the upcoming “Tier 3” project at the park.